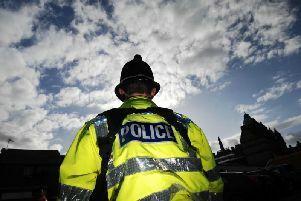 A man who attacked a car after a night of drink and drugs caused £800 damage, Burnley magistrates heard. The court was told how Stephen Craig (22) who had mental health issues, did not know the victim Jeremy Bradshaw and his actions were described by his solicitor as "a random act of stupidity". Craig, of Waddington Avenue, Burnley, admitted criminal damage to the Vauxhall Corsa, on September 9th, in the town. He was sent to an attendance centre for 24 hours. The defendant must pay £400 compensation. Mr Mark Williams (defending) said Craig had ADHD and suffered from anxiety. He started drinking on the night in question and believed he had had some drugs. The solicitor continued: "His justification for that is the way he felt the following morning. He behaved in a somewhat bizarre manner. He has no idea at all who the victim is and it was not targeted." Mr Williams added: "He can't give any explanation other than the effects of the drink and drugs. In interview, he said he was sorry and he did want to apologise."